NEW YORK (AP) — Jazz musicians from around the world will gather this April in Paris for International Jazz Day, an event UNESCO Goodwill Ambassador Herbie Hancock hopes will bring an uplifting “positive message” to a city still reeling from last month’s terrorist attacks. Hancock and UNESCO Director-General Irina Bokova announced Wednesday that Paris had been selected to be the global host city for the fourth annual International Jazz Day on April 30. Hancock said organizers initially considered Paris as the host city to celebrate its legendary place in jazz history, dating back nearly a century to World War I when African-American troops brought the music to France. But the deadly January attacks on the French satirical newspaper Charlie Hebdo and a Jewish food market have given this year’s event added significance, the jazz pianist said. Bokova said the event was also intended to be a highlight of year-long observances of the 70th anniversary of the United Nations Educational, Scientific and Cultural Organization. She felt that in these turbulent times, the All-Star Global Concert at UNESCO’s Paris headquarters, to be live streamed around the world, will send a vital message. 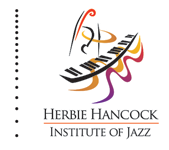 Hancock, Wayne Shorter, Dee Dee Bridgewater, Dianne Reeves, Al Jarreau, and Marcus Miller will be among the American jazz stars performing at the concert climaxing International Jazz Day celebrations. This year’s lineup will have a bigger international contingent, including pianist A Bu (China); trumpeters Hugh Masekela (South Africa), Ibrahim Maalouf (Lebanon) and Claudio Roditi (Brazil); saxophonists Igor Butman (Russia), Femi Kuti (Nigeria) and Guillaume Perret (France), and oud player Dhafer Youssef (Tunisia). 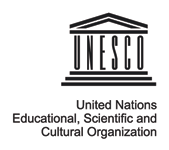 The day will kick off with a welcoming ceremony at City Hall, followed by education programs and performances in all 20 districts of Paris, said Tom Carter, president of the Thelonious Monk Institute of Jazz, which is presenting the event in partnership with UNESCO. In the evening, more than 50 concerts and performances will take place across Paris. 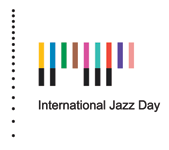 Once again, Jazz Day events are planned in nearly all 196 U.N. member states. Bokovo said the initiative has spread quickly since its launch in 2012 when about 70 countries participated. Last year, Jazz Day even spread to Antarctica, where staff at the McMurdo and Palmer stations performed jazz standards. For Hancock, who won an Oscar for best original score for the 1986 film “Round Midnight” about expatriate American jazzmen in Paris, the French capital is a most appropriate host city given its tradition. In the 1930s, the Hot Club of France Quintet featuring guitarist Django Reinhardt and violinist Stephane Grappelli became the first European jazz group to make a major impact. After World War II, American jazz artists such as soprano saxophonist Sydney Bechet, drummer Kenny Clarke and pianist Bud Powell made Paris their home. "Everybody longs for meaning. Everybody needs to love and be loved. Everybody needs to clap hands and be happy. Everybody longs for faith. In music, especially this broad category called Jazz, there is a stepping stone towards all of these." - Dr. Martin Luther King, Jr.